The reason the Finn/Rachel relationship is, or was ever, popular, is due entirely to the original intent of Finn’s character. Much in the same way that Finn discovers in himself an unexpected love for Glee Club, he discovers an unexpected attraction to Rachel, who is a physical manifestation of the club and what it represents. The Finn and Rachel Romance is tied inextricably to the show’s construct and the original intent of Finn’s character, which is why it was compelling in its earliest incarnations. It was rewarding to watch Finn confront the idea that he was attracted to someone so completely outside his expected high school social sphere, as it was equally rewarding to watch Finn open up to Glee Club. By the other side of the same token, it is this very reason why The Finn and Rachel Romance is perhaps unrealistic within the narrative: their relationship is constructed on concepts, not personalities. And now especially that Finn’s original concept frequently goes MIA from our television screens, we find ourselves having to readdress their relationship under these changes. Are they actually compatible? Do they genuinely work well together? Do they have an honest romantic chemistry? The answers to these questions are nebulous, based on personal opinion, and also on the discrepancies between how the pairing is represented in theory and in practice. It’s undeniable that Rachel and Finn’s coupling in Season 2 has lost sight of its original purpose, mirroring the derailing of Finn’s characterization. Remember in “Hairography,” when Rachel gets in her crazy Olivia Newton-John catsuit and tries to seduce Finn, only to have him tell her, rather sweetly, that he likes the way she normally dresses? And remember how great that was? Cut to Season 2, in “Brittany/Britney,” when Finn laughs at Santana’s joke about Rachel’s wardrobe and tells her she dresses weird. Oh, this is not good. Ryan Murphy, just because you want Lea Michele to reenact the “Baby One More Time” video does not give you the freedom to undo some serious, etched-in-stone canon. And it is here where Finn’s “stasis” is again being abused in favor of other characters. And really, when you think about it, this sort of exploitation isn’t actually a favor for any character involved. In “Duets,” the writers use Finn’s “goodness” as an “inspiration” for Rachel to be a “better person” and throw the competition. You can tell by my excessive use of sarcasm-induced quotation marks that I find this to be utterly ridiculous. Why is something as vaguely misleading as Finn’s “goodness” used as a tentpole for another character’s weak and misguided development? I just cannot fathom the reasons for this. What are the writers trying to accomplish here? 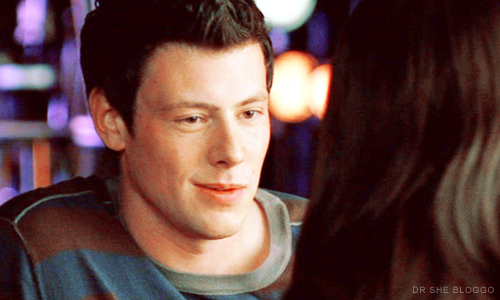 I’ve heard many complaints from viewers that Finn is a terrible boyfriend to Rachel, and on some level, that’s true. You can look the way that Finn treated Quinn as a girlfriend in comparison to how Finn treats Rachel as a girlfriend, and extrapolate all kinds of interpretations about how Finn didn’t treat Quinn like that, or that he used to be walked on and now he’s just standing up for himself in his relationship, or that he can’t like Rachel all that much because he’s being a giant jerk, or that Rachel and Finn’s relationship is more realistic than Finn and Quinn’s, et cetera. But for me, these interpretations are irrelevant because the data is skewed. At the end of the day, I personally am of the opinion that Finn and Rachel’s individual characters are not actually that compatible for a healthy functioning relationship. However, it’s still possible that the Finchel dynamic can be a successful one, and that prospect is solely in the hands of the writers. Finn and Rachel can really only work if their individual developments continue to honor their original intentions on the show. For Finn, this is about being open, and saying yes. His love for Rachel must be real, and founded deep within him. It should not be, “I love her in spite of X, Y, and Z,” but rather, “I love her because that is a part of who I am.” He needs to embrace his relationship with Rachel, like he originally embraced the idea of Glee. As for Rachel, well, that’s another in-depth analysis for another day. But for Finn, he needs to be open to joy - to both the Glee Club and to Rachel. Because for the purposes of his character arc, they represent the same thing. And again, some might claim that in order for there to be conflict for their characters, there must be some sort of drama that messes with what I outlined above. But frankly, that conflict can be derived from other external forces, and if the strength of the above dynamic holds strong, it can make the drama that much more interesting, and the characters that much more likeable. The strength of that dynamic is what is going to sell the couple as believable, and most importantly, as a couple you want to root for. And of course, in order to ensure the strength of that dynamic, the writers need to restore Finn’s characterization to match his original intended arc. I totally understand why people ship Finchel, and I totally understand why some people dislike them, haha. I personally really liked them in the F13 but my interest has waned since then, unfortunately. So I combed through this part multiple times to make sure I stayed as objective as possible. Finchel's a pretty popular ship and I don't want to piss anyone off, haha.